Disease is often accompanied by pain. 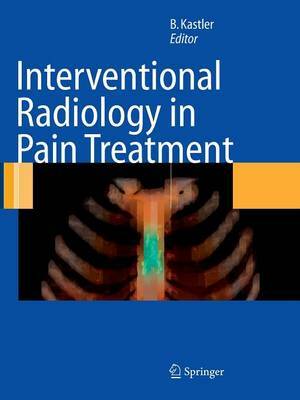 This book describes the techniques elaborated by interventional radiologists in the treatment and palliation of a variety of benign and malignant painful conditions. Each chapter concentrates on a particular aspect of pain management, with emphasis on practical issues. This book will serve as an invaluable source of information for the radiologist willing to learn about new pain therapy techniques aimed at optimizing or replacing more invasive traditional methods.